Installing stacked stone on your home’s interior walls, whether as a full accent wall, around a fireplace, or something else entirely, is a great way to update the aesthetic of your space without blowing your household budget. Nowadays, rather than using full pieces of stone that can be cumbersome and hard to work with, manufacturers have created stone veneers instead. Many of these options are made using natural stone, so they have the same stunning look authentic, full stones would have. If you are thinking about installing a stacked stone wall yourself, you are not alone. As a matter of fact, this has become one of America’s most popular weekend do-it-yourself projects. Before you get started, though, there are a few key pitfalls you should be aware of. This guide outlines four of these and provides you with tips for how to avoid them, so you’ll be well-prepared when the time comes for you to complete your next remodeling job. Sometimes, when homeowners install stacked stone veneer panels, there are noticeable gaps in the finished product. The main reason for this is uneven edges on the stone panels themselves. You should make a point of sanding any edges that aren’t perfectly straight before you begin your project. Gaps can also, however, be caused by an uneven surface, so double-check your wall prior to doing any installation. If you start noticing holes over time, rather than immediately, the odds are good that the surface simply wasn’t strong enough to support the stone veneer. In this case, you’ll need to consult with a professional contractor. The “zipper effect” occurs when pieces of stone veneer that are the same length line-up perfectly at various corners of a wall. This has an unprofessional appearance and is something you should strive to avoid. 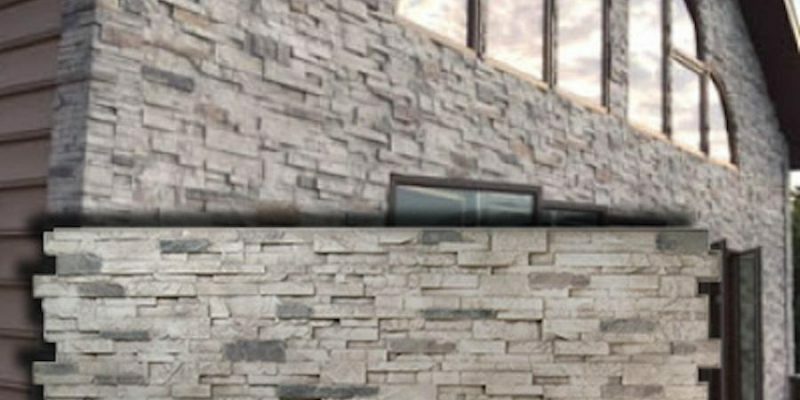 The best option is to choose a brand of veneer that has randomly cut pieces of veneer, which will help you achieve the natural, rugged look you are undoubtedly trying to get with your new stacked stone wall. Many homeowners end-up dissatisfied with their stacked stone wall projects because various pieces slipped while they were installing them. This can create a messy, unkempt look that is difficult to correct without starting over. To avoid this potential problem, invest in a high bond mortar, which will dry very quickly, allowing each piece of veneer to adhere almost instantly. Homeowners often start installing their stacked stone in a corner, but this isn’t actually the best course of action. Starting at the lowest, central point of the wall and working your way up and out is the most effective installation technique. It is also a good idea to lay each row of your stacked stone wall on the floor prior to installing it. This will allow you to see if there are any problems, such as jagged edges. Keep in mind that, while you certainly can install your stacked stone wall by yourself, you shouldn’t hesitate to contact the professionals at Hatch Homes if you need assistance with this project. Whether you have time constraints or you’re simply concerned you won’t be happy with the end result, our team will be happy to work with you, no matter where in North Carolina or South Carolina you reside.